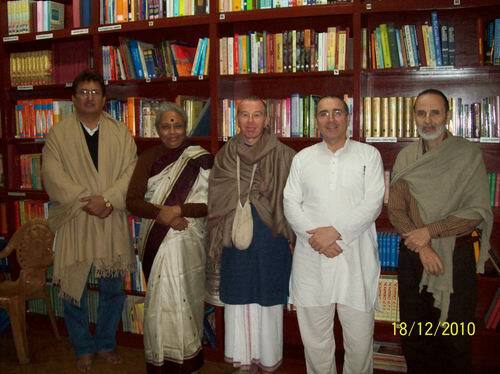 In November 2010, we were fortunate to meet with Srimati Srilekha Bose, the daughter of eminent Bengal politician Sri Tarun Kanti Ghosh, and grand-daughter of Mahatma Sishir Kumar Ghosh, at her home in Mumbai. Sri Sishir Kumar Ghosh was a prominent Vaisnava, publisher and personal friend of Srila Bhaktivinoda Thakura. 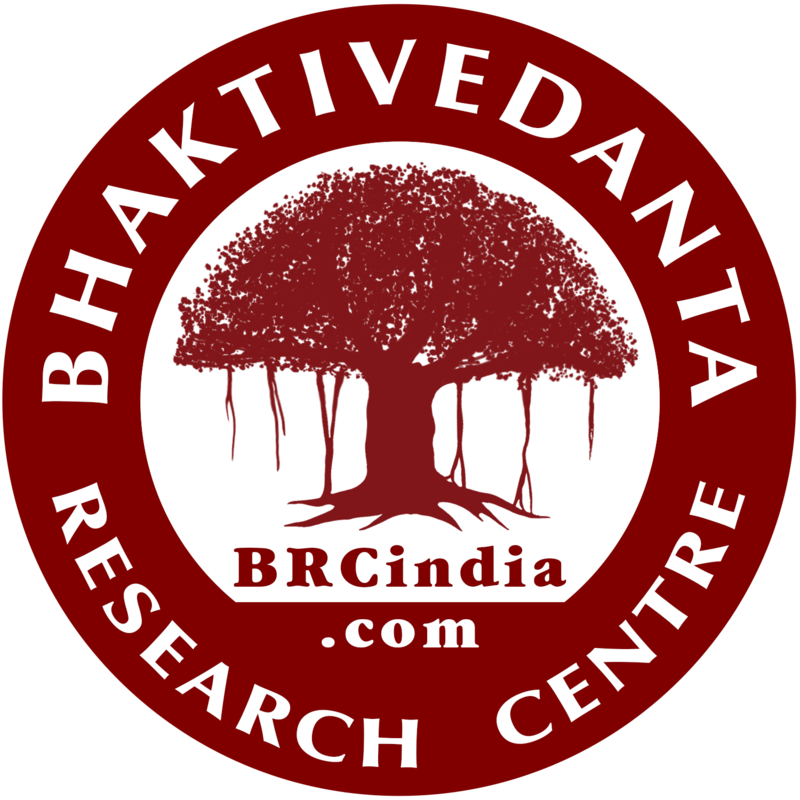 It was he who named Srila Bhaktivinoda Thakur the seventh Goswami. 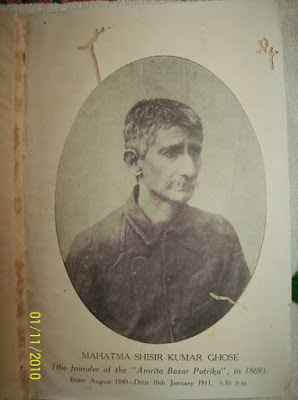 From 1890 to 1898 he published Sri Visnu Priya O Ananda Bazar Patrika under the editorship of the Thakura on a fortnightly basis, and later it became a monthly. In 1897 Sishir Kumar Ghosh published a two volume glorification of Sri Caitanya Mahaprabhu called Lord Gauranga or Salvation for All. Smt. Srilekha Bose very kindly donated her personal set of this long-out-of-print book plus two other rare volumes by her grandfather to the BRC. 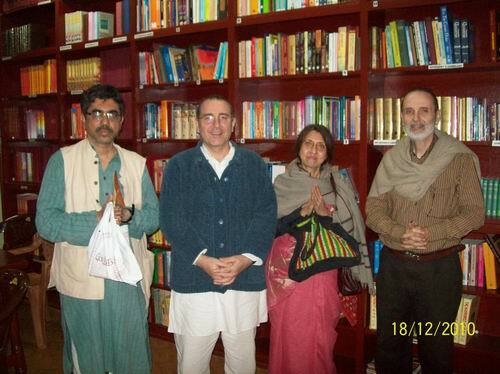 Then, in mid-December we were fortunate to have further discussions at the BRC with Smt. Rita Dutta and Sri Tamal Kanti Ghosh, the great-grand children of Sishir Kumar Ghosh. The Ghosh family at one time had an extensive library inherited from Sri Sishir Kumar Ghosh, but it has now become scattered. 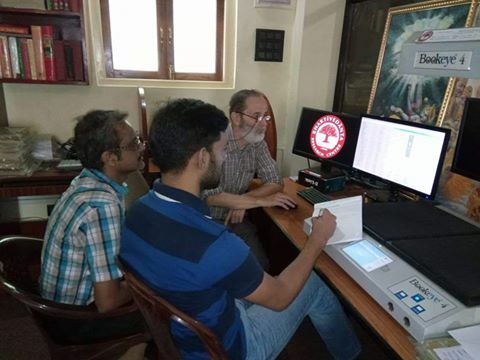 Rita and Tamal Kanti have vowed to help us track down the collection and our hope is that we may find some rare Vaisnava books by the Mahatma and other Vaisnava authors and even correspondence or works connected directly to Srila Bhaktivinoda Thakura.